It has been not that long ago when the speculations started that Shah Rukh Khan has stepped down from Don 3 and the makers are looking forward to rope in Ranveer Singh for the film. Though there has been no confirmation on the same neither from the actors nor the filmmaker, rumours were rife that Gully Boy hero has been zeroed down. While fans were waiting to know who has been roped in for Don 3, Zoya Akhtar cleared the air that they are not collaborating with Ranveer. And now her brother Farhan Akhtar has said that he is tired of speaking about it. Is Ranveer Singh Replacing Shah Rukh Khan in Don 3? Shah Rukh Khan and Ranveer Singh are the most-sought after actors in tinsel town and who wouldn’t love to make a film with them. 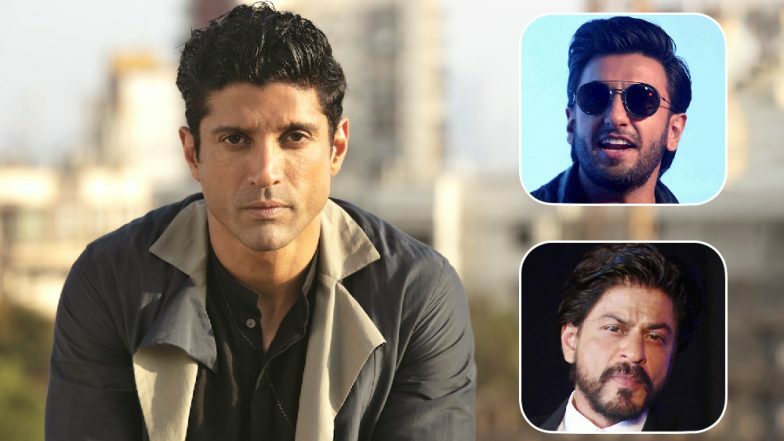 While the buzz of Don 3 lead actor looked like never-ending, Farhan Akhtar has spoken about it to a leading daily. The multi-talented star told DNA, “I am a bit tired of speaking about Don 3. This news doesn’t come from me. I don’t start and end it. People can happily say what they want to and amuse themselves. When I have something to say, I will say it. There is nothing to hide.” Zoya Akhtar Clears the Air Around Ranveer Singh Being a Part of Don 3 and Here's What She Has to Say. It was earlier clarified that Priyanka Chopra Jonas wouldn’t be part of this third film in the Don franchise. But the rumours revolving around the lead actors has definitely created a huge buzz already. While Shah Rukh Khan has been particular about his choice of experimental roles after the failure of Zero, Ranveer Singh has step forth in taking them up. So let’s wait and watch which actor will be finalised for Don 3.